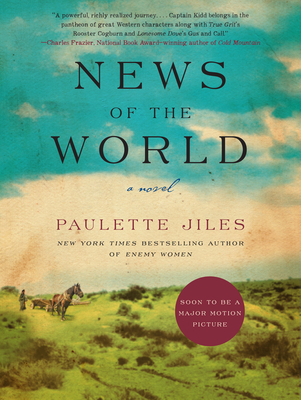 News of the World: A Novel (Paperback) | Eagle Harbor Book Co. This novel, based on Texas frontier history, is my favorite work by a grea author. In 1870, curmudgeonly, 71-year-old Captain Jefferson Kyle Kidd is hired to return a 10-year-old orphan named Johnanna to family in South Texas. Kidnapped by Kiowa raiders, raised as their own and subsequently rescued by the army, Johanna has no memory of her white past and tries to escape at every opportunity. Despite this, she begins to trust the "Kep-dun" and a bond is formed. Arriving in San Antonio, Captain Kidd finds he must make a terrible decision about Johanna's fate. With wonderful prose and wonderful characters, this book is a heart-grabber!